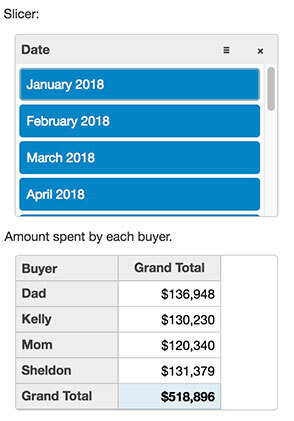 Create powerful .NET reports code-free in our standalone FlexReport Designer, and display them in FlexViewer Mobile, a responsive ASP.NET MVC report viewer for small screens. Create Adobe PDF documents from your web apps using ASP.NET MVC PDF, complete with security, compression, outlining, hyper-linking, and attachments. Create a responsive application with AJAX binding. 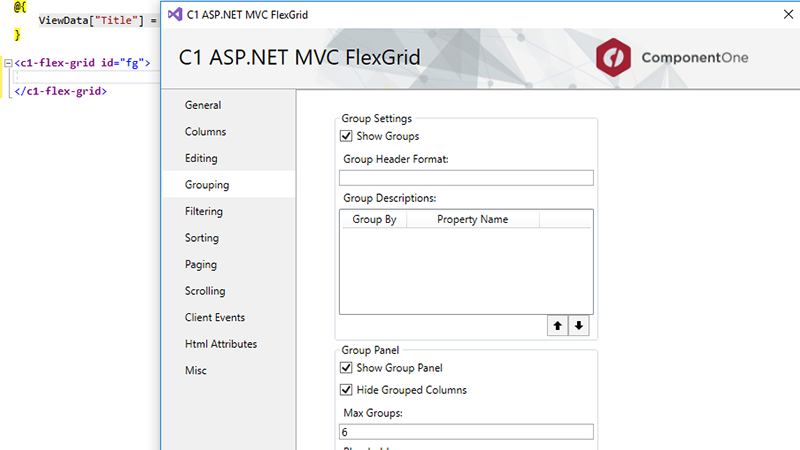 The application includes a sample data and a view code to explain the implementation of AJAX binding in the FlexGrid control. 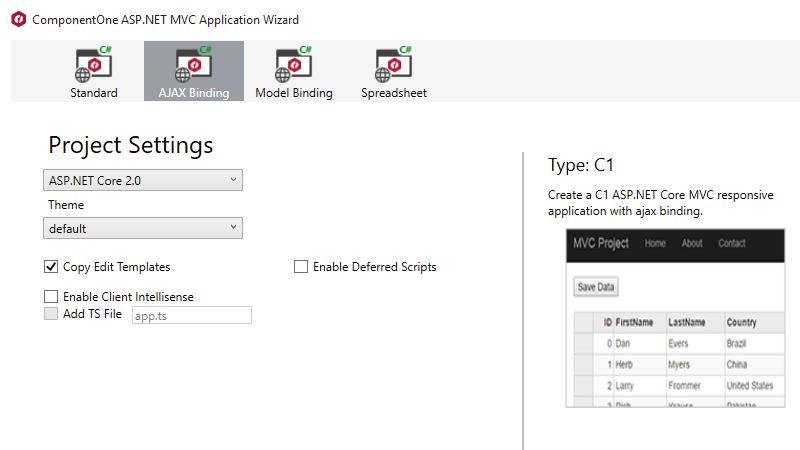 Create an application with model binding. 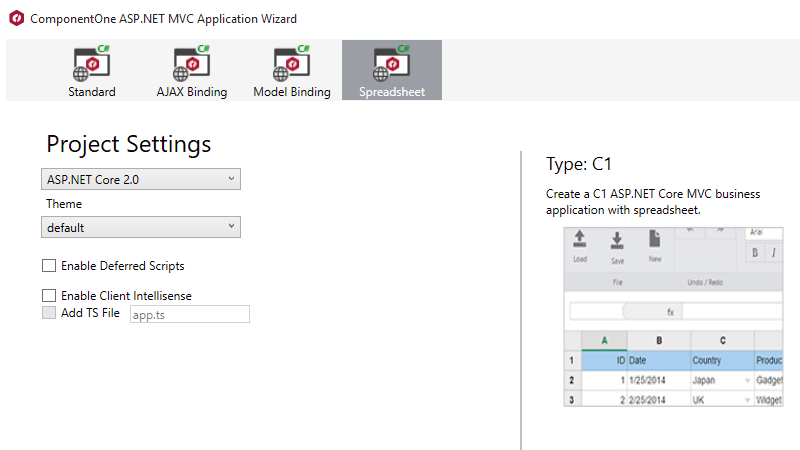 The application includes a sample data and a view code to explain the implementation of Model binding in the FlexGrid control. 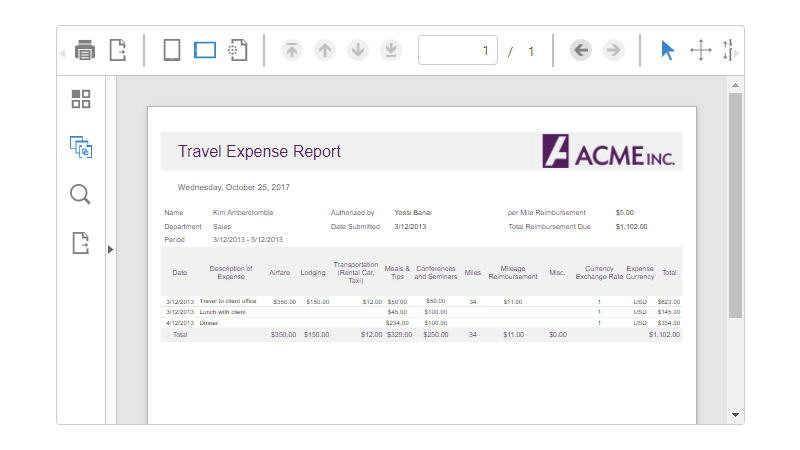 Create a business application with the FlexSheet control. 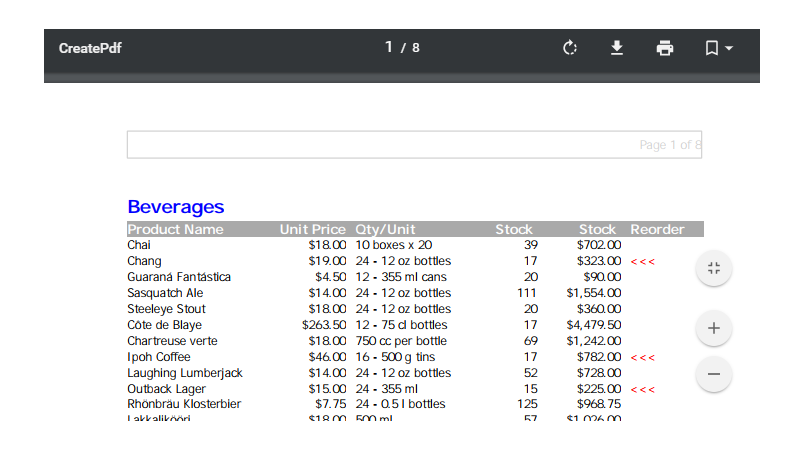 The application includes Font.cs and Sale.cs data classes and view code with all the necessary references to add data to FlexSheet. 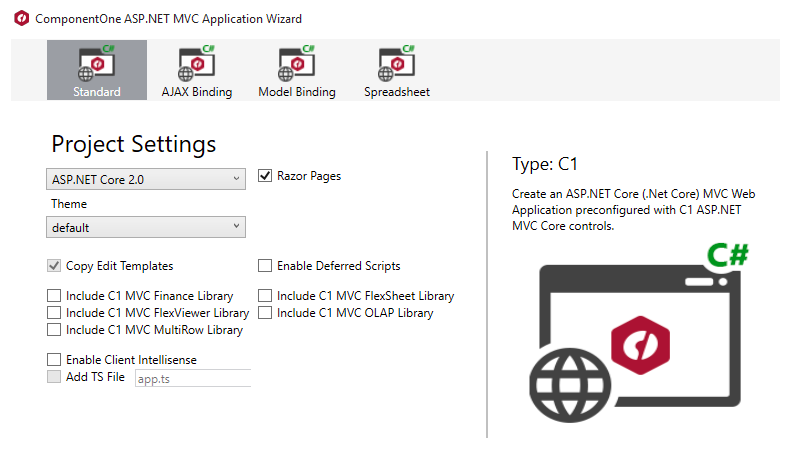 Create a Razor Pages application in ASP.NET Core preconfigured with C1 controls. The OLAP Slicer control provides a quick way to edit filters applied to PivotField objects. It provides buttons the user can click to filter data based on values and indicates the current filtering state. 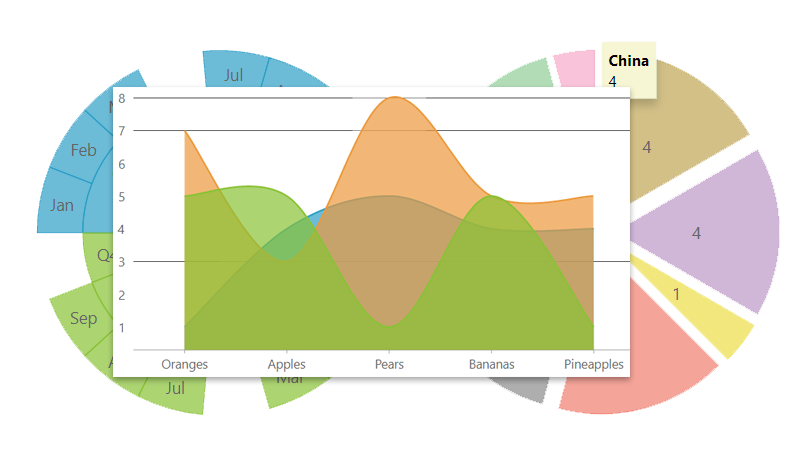 This makes it easy to understand what is shown in filtered PivotGrid and PivotChart controls. Multi-Column Combo. 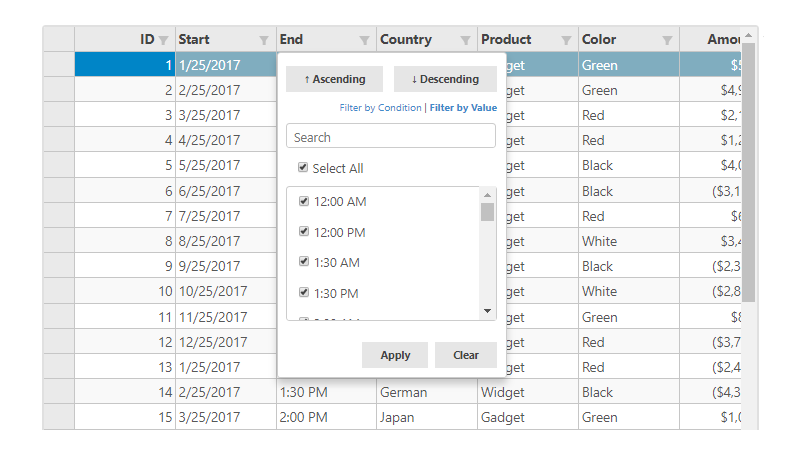 This extension control extends the cell dropdown to contain a pageable FlexGrid that displays multiple columns. The MultiColumn Combo control is helpful when users need to see multiple columns to make a decision. The dropdown is also pageable allowing the on-demand loading of data. 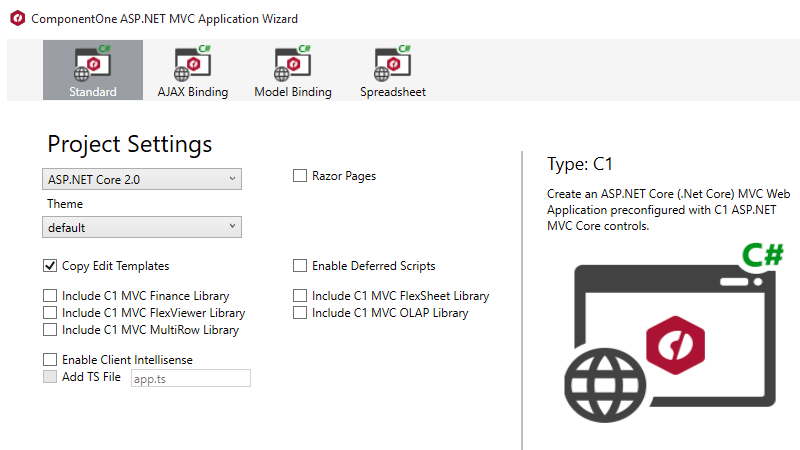 The Control Wizard has been updated so that you can use OLAP, Tab, DashboardLayout controls. It provides improved support for licensing and updating project resources and Web.config. A Menu.subItemsPath property for the Menu control is available. This property allows the creation of hierarchical (multi-level) menus. There is a ShowYearPicker property for Calendar and InputDate. This causes the calendar to show a list of years when the user clicks the year calendar header. ASP.NET Web API Data storage now supports cloud storages and their CRUD operations. 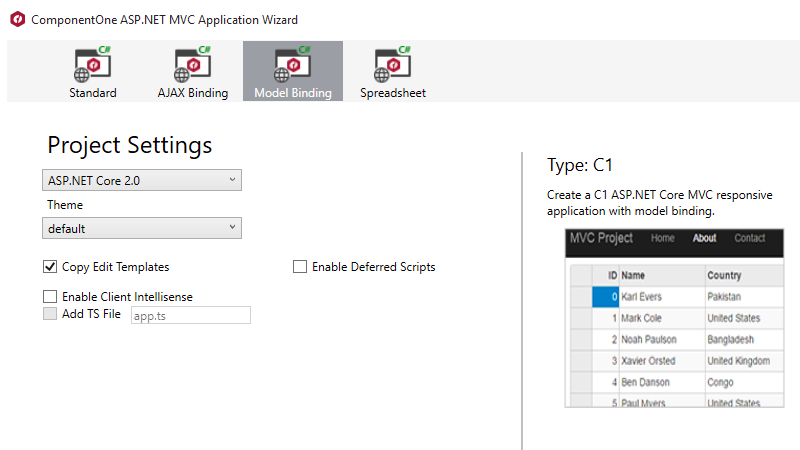 The MVC controls have been tested against and fully support Visual Studio 2019. 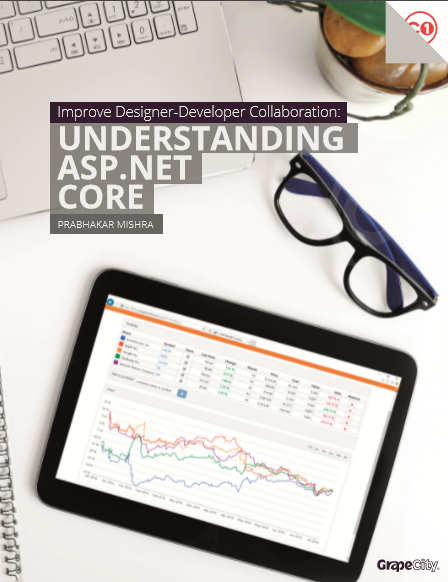 ASP.NET Core’s TagHelper feature provides a readable, HTML-like markup that enables developers and web designers to collaborate more closely and efficiently. In this white paper we’ll walk you through the basics of TagHelpers, from concepts to custom development.